Around 1.3 Million tourists visit the Island of Mauritius every year, which has a population of 1.26 million. This raises the questions of how to ensure the rapid development of the tourism industry benefits the tourists as well as local communities in a sustainable manner. The Mauritius Tourism Development Plan sets the target that Mauritius acquires the “Green Destination” status by 2030. Promoting sustainable tourism that reduces the “footprint” (the negative impacts such as resource overuse, emission, social consequences) while improving the “handprint”(positive sustainability impacts such as community development, cultural preservation, ecosystem quality, authentic experience, etc.) is key to the green growth of Mauritius. Against this background, the CSCP and the Mauritius Tourism Authority have jointly developed the SUS-ISLAND project. 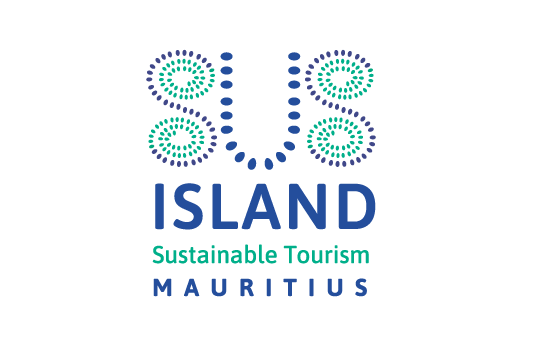 The project will promote sustainable tourism in Mauritius by demonstrating and scaling up self-sustaining mechanisms for improving sustainability impacts along value chains. It will also raise awareness for sustainable tourism products and thus establish a market for them. Mauritius has about 400 tour operators who serve as the bridge between inbound tourists and local service providers. Tour operators introduce about 50% of hotel’s customers to the hotel, and are responsible for over 70% of craft sellers’ customers. The SUS-ISLAND project therefore targets tour operators and their suppliers, including hotels, craft sellers, tour guides, taxi drivers, and handicraft makers etc. In this project, the CSCP will develop and customise the Pro-Handprint Innovation (PHI) Framework for the Mauritian context (MauPHI). The PHI Frameworkis a tool guiding businesses to target, manage, measure and communicate the positive impacts of tourism. As tourism relies on local resources (e.g. local work force, natural resource etc. ), the PHI Framework is an innovative tool that supports the creation and implementation of forward-thinking ideas and guiding business on creating value by addressing local challenges. This brings sustainable solutions to the local communities while also future-proofing their business. Applying the Mauritius Pro-Handprint (MauPHI) Framework, tour operators and their suppliers will have the right tools to prioritise and implement innovations that have the greatest impact potential, enabled by interventions in supply chain management, product innovation, communication and marketing, organisational management and operation. SUS-ISLAND will look into innovation potentials along the value chain, including but not limited to accommodation, transportation, food and beverage, excursions, and souvenirs etc. The project will further empower the implementation and scaling up of the sustainable tourism practices in supply chain management, product/service innovation, through engagement with the enablers such as policymakers, financial institutions, local inhabitants or industrial associations. The project was kicked off with a stakeholder meeting in Mauritius in September 2018. A Project Multi-Stakeholder Board has been established, composed of Ministry of Tourism, Mauritius Tourism Promotion Association, Mauritius Tourism Authority, Ministry of Environment, Association of Hotels & Restaurants in Mauritius (AHRIM), Association of Hotels de Charme, Association of Tour Operators Mauritius (AIOM), Association of Tourism Professionals (ATP), Association of Tourist Operators (ATO). SUS-ISLAND is funded by the European Commission under the Switch Africa Green Programme.